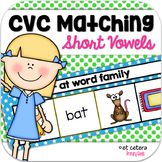 CVCe Picture Word Cards: Matching Words to Pictures; First; Special Ed. 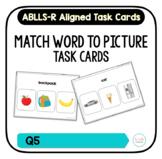 This file is intended as a resource for teaching and accessing ABLLS goals for reading Q6, Q6, Q7, and Q8. 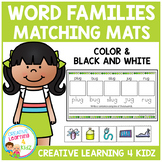 Matching pictures to words, matching words to words (20 different words in three different fonts and colors), Identifying letters in words, and matching letters to words. 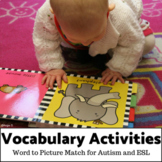 Camping themed Match the Word to the Picture preschool activity. Early reading. Science Life Cycle of a Chicken Match Word to Picture preschool homeschool game.